This is the third blogger meeting attended by me at Chennai. 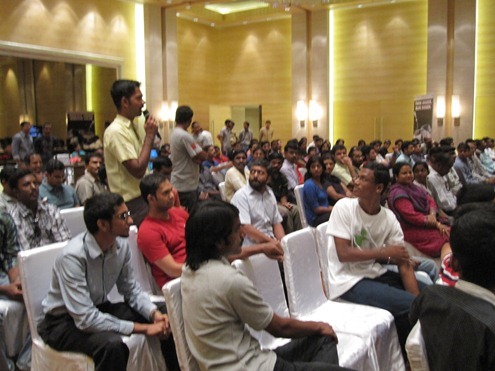 Previously I attended UniverCell Chennai IndiBlogger Meet on 20 March 2010 and Microsoft IndiBlogger Meet on 08 June 2008. 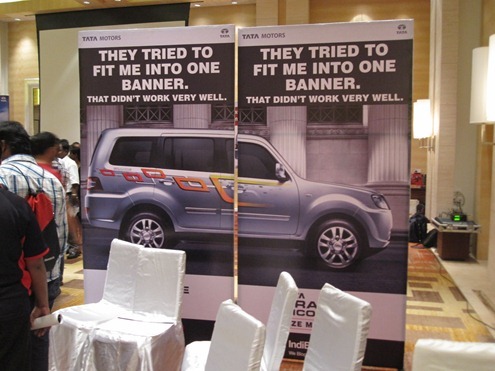 Tata Motors theme for the meeting was “TATA Grande Dicor – Size Matters”. 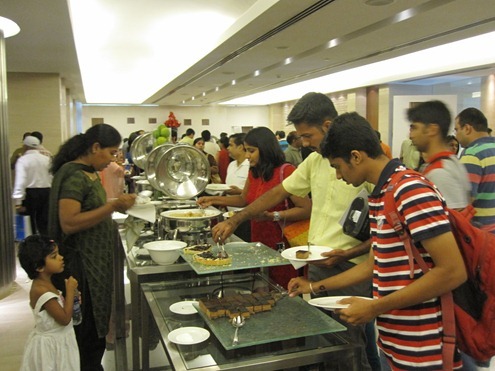 It was a brilliant idea of the Tata Motors to position, two Grande Dicor vehicles (one in the dining hall and one in the meeting hall) for the IndiBloggers to gain first hand information about this vehicle. 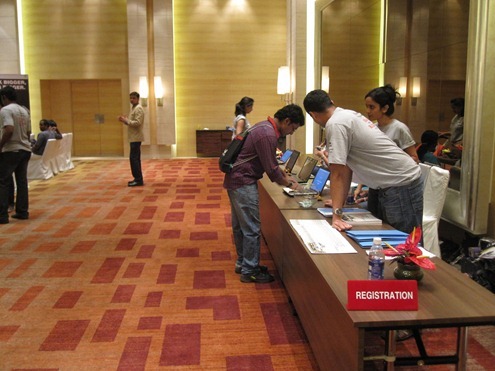 251 bloggers registered to attend this meeting but it seems all could not make it. I guess more than 150 bloggers were present. The registration towards finishing stage. 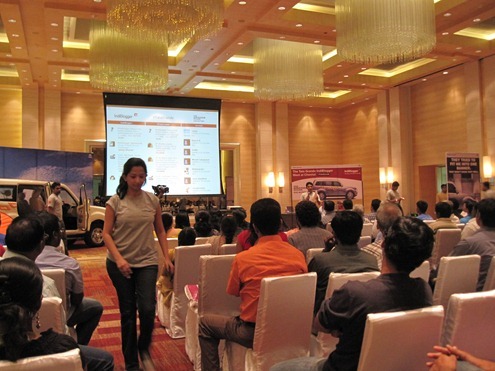 The IndiBlogger Meet in progress (you can see a Grande Dicor vehicle displayed next to screen). The 49 Seconds of Fame by IndiBloggers. 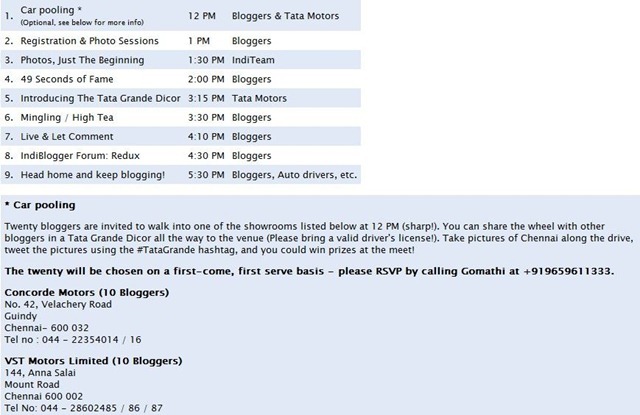 IndiBloggers interaction with Tata Grande Dicor. 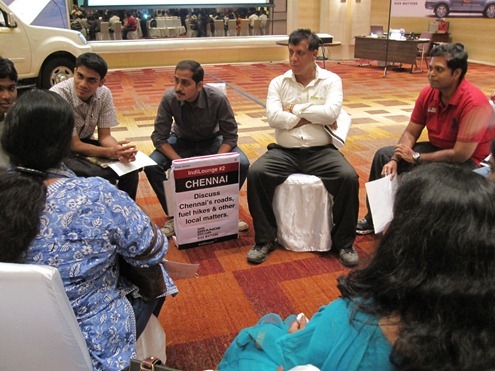 IndiBlogger forum discussion on: Chennai’s roads, fuel hikes and other Chennai matters. 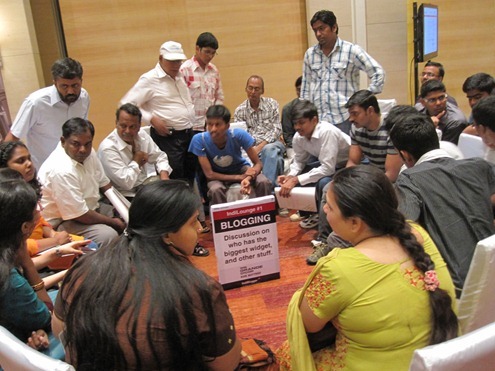 IndiBlogger forum discussion on: Blogging – who has the biggest widget and other stuff. 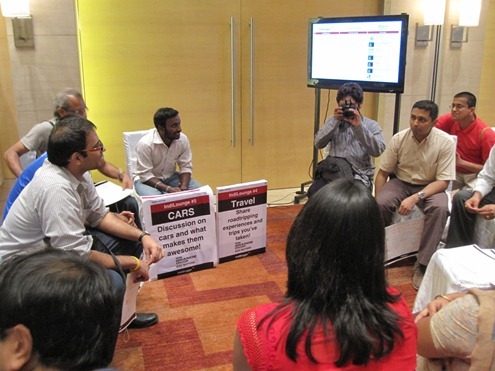 IndiBlogger forum discussion on: Cars and Travel. 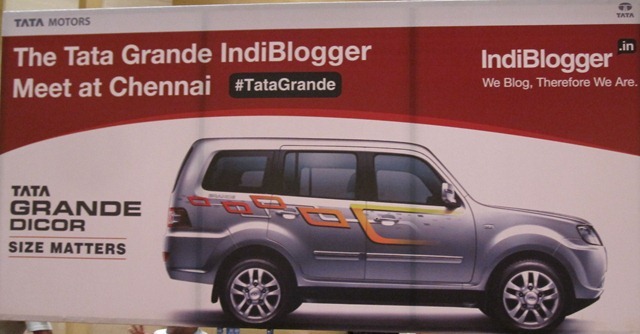 As size matters, it needs two banners to get full view of Tata Grande Dicor. 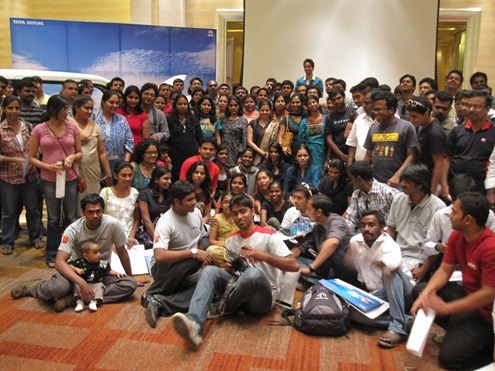 Finally before winding up, IndiBloggers posed for a group photo. T – Shirts (back view). 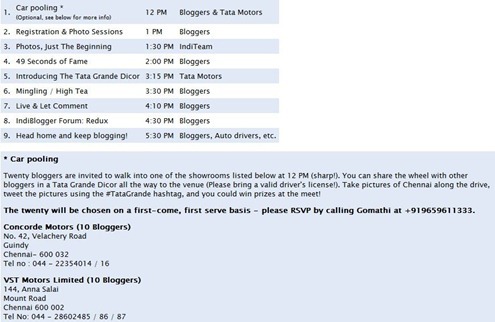 Thanks to Tata Motors and IndiBlogger for organising this wonderful event. 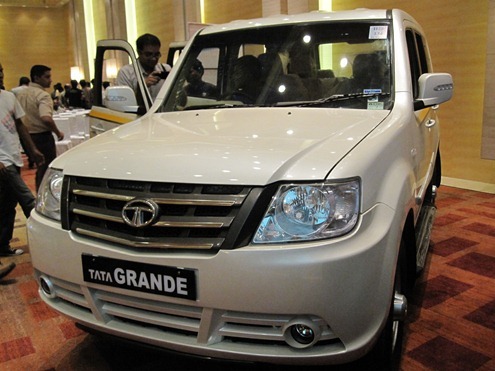 For more details on Tata Grande Dicor, log on to Tata Motors. Awesome pics… Thanks for sharing. 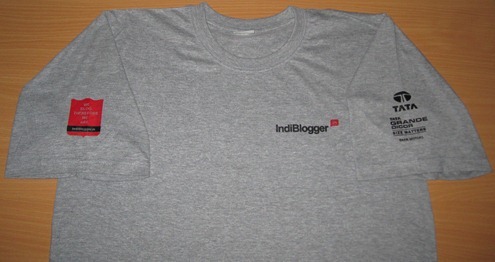 I too had a great time during the Indiblogger meet, yesterday. It looks like we have attended two Blogger meets (I was there at the Microsoft campus in Bangalore for the 2008 meet as well), but still don’t know each other! Do keep in touch. Good pictures sailor! Thanks for sharing. All of us really had a great time over there!! Nice pics by the way…. Can u pls send me the last group pic to my email id ( kalyanb4u @ gmail . com ) ?? Here is my take on the meet. Pls drop by in leisure!! 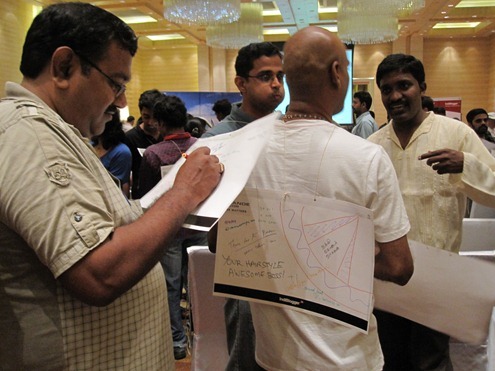 Next post: Kudankulam Nuclear Power Plant: Is Plant Location in Tamil Nadu Coast Unsafe ?